The United Nations Industrial Development Organisation’s (UNIDO)’s Investment and Technology Promotion Office (ITPO) said it is set to equip Small and Medium Enterprises (SMEs) in Nigeria with its Computer Model for Feasibility Analysis and Reporting –COMFAR tools and methodologies for project appraisal. The United Nations projects that Nigeria’s population would increase to 200 million in two years and most of these people are entrepreneurs. The UN believes that if they are trained now, it will affect the economy positively, especially when the population increases further. 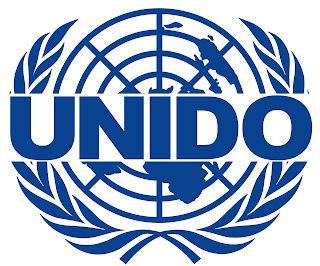 The Chief Technical Adviser, UNIDO-ITPO, Mr. Stanislaw Pigon has said that lack of access to funds was not the only factor hindering the growth of the SME sector, but that operators’ inability to present a proper accounting system was a major issue. COMFAR is a software that facilitates short and long-term analyses of financial and economic consequences for industrial and non-industrial projects. The innovation is accompanied by manuals, teaching materials and interlinked software for project identification and preparation. It offers specialised modules on Clean Development Mechanism and on Environmental Management Accounting, among others. With the app, SME operators can prepare their financial appraisals in few hours after they have downloaded the application online either on their laptop computers or smartphones. It is already available in 19 languages. There are currently over 10 000 COMFAR users in 160 countries. It will expand its product offer to include more specialised versions that are compliant with the latest International Accounting Standards and the International Financial Reporting Standards. This is a computer software that permits the user to simulate the short- and long-term financial and economic situation of investment projects. The software facilitates the analysis of industrial as well as non-industrial projects, whether new investments, rehabilitations, expansions, joint venture or privatization projects. It enables the user to carry out financial analysis of investment projects. The economic appraisal module is not included in this product. It is a software package designed for the preliminary assessments of investment opportunities from the purely financial point of view. Unlike COMFAR III Expert and COMFAR III Business Planner, it does not support full fledged user-defined flexibility. The economic appraisal module is not included in this product.